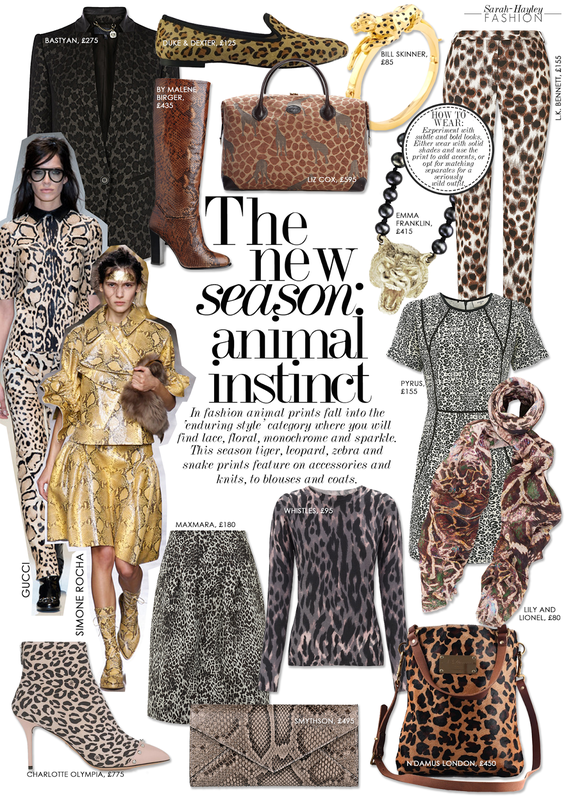 Autumn Winter 2014 is taking a walk on the wild side. Firty feline prints are everywhere, from luxurious coats at Céline and Saint Laurent to separates at Gucci. In London, Simone Rocha looked to Snake prints for her stand out leather pieces. There are two alternate ways to rock this trend this season. If you don't want to stand out keep the look edgy and minimal. Don't go over the top and use the print to add accents. Accessorise your look with a leopard-print scarf, bag or pair of shoes. For evening wear a printed dress, with plain flats or team a printed jacket over a tee and jeans for a subtle feel. If you are brave, be bold and wear matching separates or a striking printed coat. However you decide to wear it, I bring you my edit of the latest 'animal instinct' pieces to drop in stores and online.